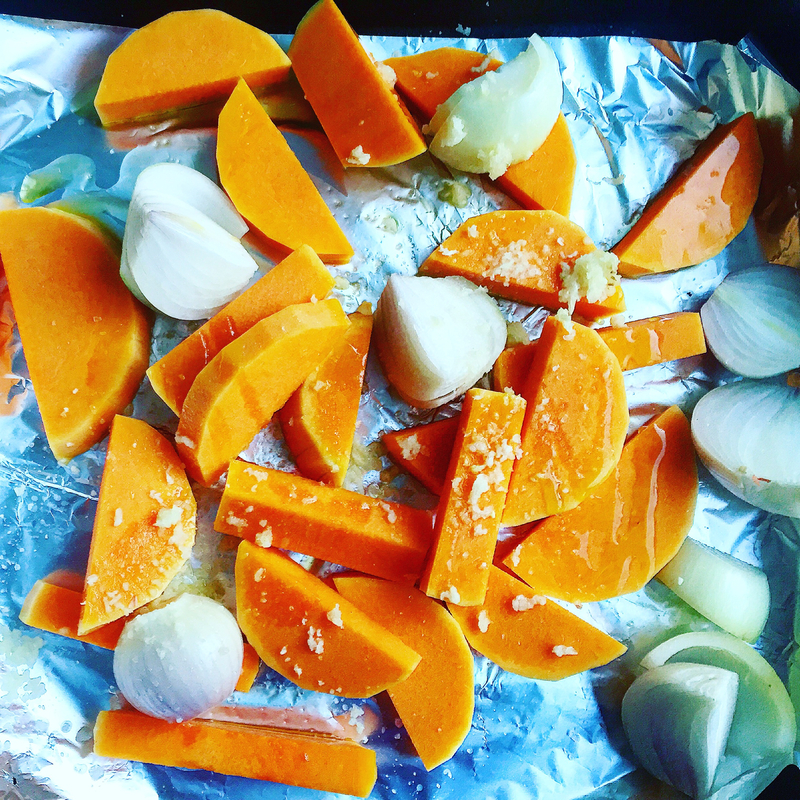 Place the butternut squash, onions and garlic in a lined baking tray. Drizzle with olive oil and place in the oven for approx. 20 minutes until soft and tender. Whilst the butternut squash is taking its time (huh! As usual! )😜, place the rice, water and stock cube into a saucepan, bring to the boil and simmer for 15 minutes until cooked, then strain. 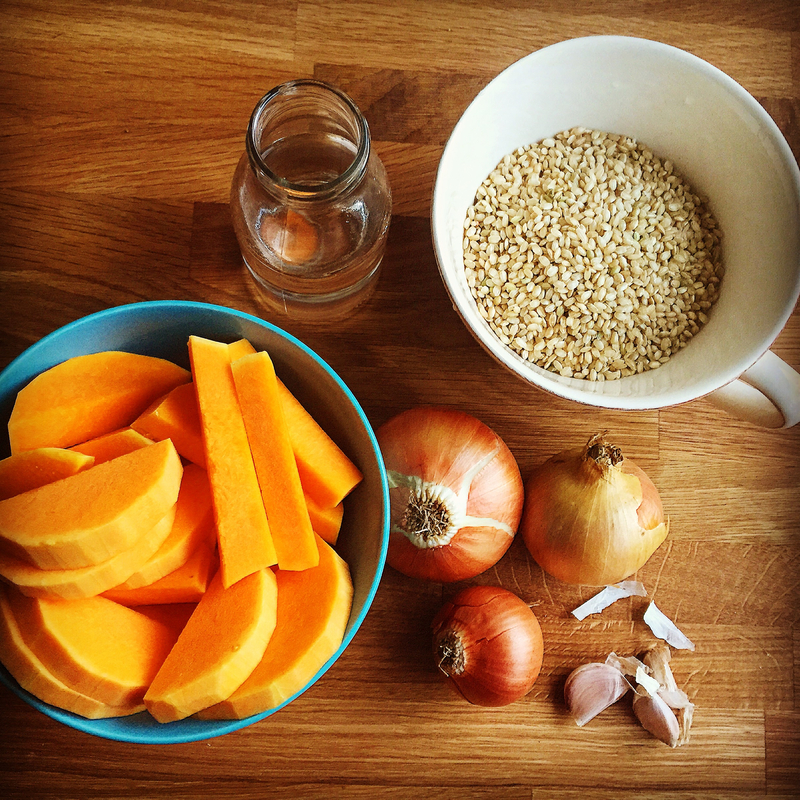 Once the butternut squash is cooked place it in a food processor and blend to your favourite beat! If you don’t have a food processor grab a potato masher and unleash the fury!! 😈 Once pureed add to the rice. Last but not least, for a little cheffy extra, drizzle a little olive oil into a hot frying pan and sizzle the sage leaves until they are fragrant and crispy. Crumble into the risotto and serve! 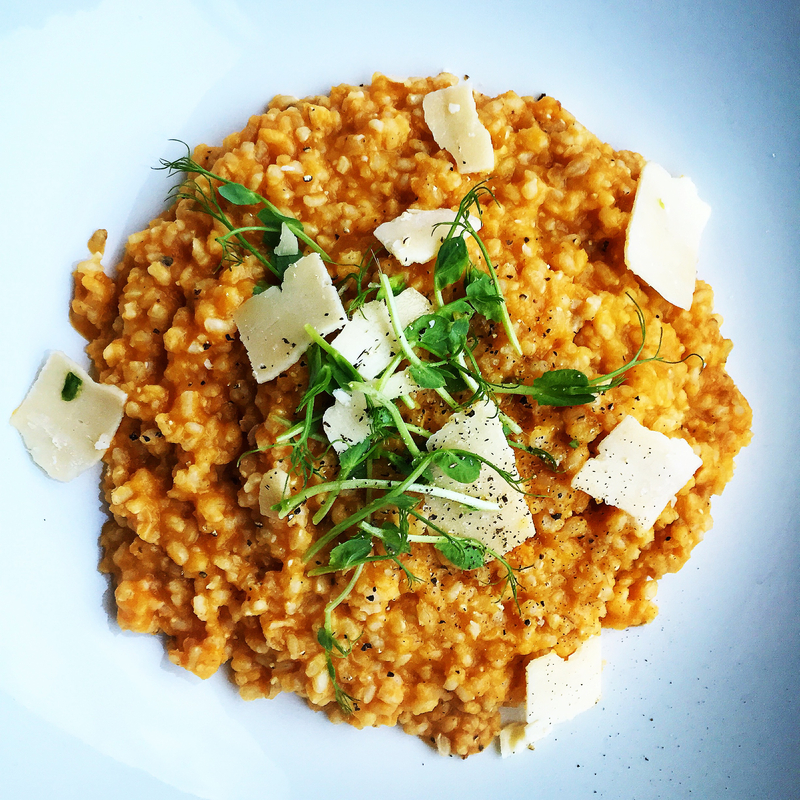 I like to serve this risotto with fresh rocket on top and its really really nice with Parmesan cheese flaked on top if you’re ok with dairy! Also one last tip this risotto tastes even better the next day as the rice absorbs all the flavours so make extra! Hi! I’m making this recipe right now but I’m wondering if it’s 3 cups of uncooked rice or cooked rice. I’m doing 2 cups of uncooked rice because that’s all I had, so hopefully that works! I just made this and it smells delicious, but definitely makes more than two servings! This could easily feed 4 people.